A set of healthy teeth and a beautiful smile are one of the best assets anyone can ever have. No matter your physical appearance, age, gender, social status, or profession, if you always wear a beautiful smile, you will surely look fabulous and feel great. A simple smile can even brighten up a gloomy person’s heart. Unfortunately, not all people are able to have the opportunity to wear this kind of smile. Some seem so thrift at smiling simply because they are ashamed and unconfident to display their unhealthy and incomplete teeth. Just like many of you, some of our patients also have such embarrassing dental experience. At an early age, they already wearing a denture and the experience is not at all enjoyable. Dental Implants were not yet very common at that time. As parents, we need to make sure that our children are on the right track. It is important that you understand, first and foremost, the importance of dental health and why you need your children to follow a good dental habit. Talk with a dental professional and read some reliable materials both online and offline. These are just some things you can do to broaden your understanding and knowledge of oral health care. Once you already have a better understanding of the importance of dental health, it would be way easier for you to communicate it to your children and help them understand it as well. Remember that you can’t teach someone anything you don’t know yourself. Replace your teen’s toothbrush at least once in every one or two months. Old toothbrushes are often not as effective as the new ones. And in some instances, they can be a thriving ground for bacteria which can cause tooth decay. In such a case, regular sterilizing can help. If you don’t have a sterilizer, you can manually boil a clean water and pour it into a cup with the toothbrush inside. Most of the permanent or adult teeth usually come out during the early adolescent years. According to Wikipedia, 28 out of 32 permanent teeth come out at the age of 13 while the third molars or the last 4 permanent teeth appear between ages 17 to 25. 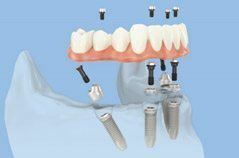 If in case the permanent teeth got damaged, they will never be naturally replaced. That is why you need to make sure that your children’s teeth are always healthy. There are different ways to maintain oral health. Apart from eating the right kind of food, avoiding snack items and beverages that are bad for the teeth, and seeing the dentist on a regular basis, following good dental habits also greatly help maintain a healthier oral cavity. According to the American Dental Association, a good dental habit usually includes brushing the teeth with fluoride toothpaste twice a day. You need to use a soft-bristled toothbrush and you also have to make sure that you don’t brush your teeth too hard to avoid damaging your gums. 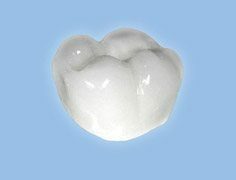 However, proper brushing is sometimes not enough to remove food remains and plaque from the teeth. With that, you also need to floss daily. The teenage years are a very critical stage of our lives. This is the stage where we experience a transition from childhood to adulthood, and the time when we start getting more matured physically, mentally, emotionally, and psychologically. I guess many of you will agree with me when I say that it is also the time when we get too curious and experimental. This includes using tobacco products or smoking cigarettes. According to the Centers for Disease Control and Prevention, smoking tobacco increases your risks to periodontal diseases. It can cause stained teeth, bad breath, gum recession, canker sores, altered taste buds, tooth decay, and even oral cancer. As parents, it is our responsibility to educate our children about what’s right and wrong. Let them understand the consequences of smoking cigarettes and be a role model by not using tobacco products yourself. At Klironomou Dental Clinic we appreciate patients that ask us on how to handle such situations, feel free to book an appointment to our Piraeus located Clinic. We love patients that visit Greece as tourists, or for Dental Tourism, but we also welcome patients that don’t speek Greek and still they are looking for good dental services.